Urban busy life and makeup can leave our skin dull and grimy. If you want to feel pretty and confident without your makeup, you need to have a clean skin. We prepared few easiest tips you should include in your daily routine to achieve perfect skin. Unfortunately, some women are scared to be seen with a bare face. They just can’t imagine their life without makeup. Can you really look pretty without makeup? Is it even possible? Sure! You can look fabulous without a drop of makeup! How? Please read following tips. We Should Daily wash your face to remove all pollution and dirt from your dace. You can use your favorite skin wash product or just water. Make sure to wash your face once in the morning and once before bedtime. This routine will give your skin fresh feeling and help open up your pores. Also, it’s recommended to wash your face in cold water. Cold water will tighten the pores and reduce swelling. Facial massages are known for rejuvenating your face and improving the circulation – massage accelerates blood flow to the capillaries, bringing nutrients and oxygen to the tissues and helps also in shaping our body parts. If you still don’t use sunscreen regularly – it’s still not too late to start! Every girl should make sure she doesn’t leave the house without putting sunscreen on her skin. You’re probably asking yourself – why? Sun rays are bad for our skin (even when it is cloudy). Using sunscreen on a daily basis is mandatory to protect yourself from dreaded signs of aging and skin cancer. Sun rays break down the elastin and collagen in our skin causing wrinkles. Yikes! When you get older, your biggest regret would be not wearing sunscreen every day. You sunscreen must be no lower than SPF 30 because lower SPF doesn’t offer adequate protection for your skin. Find a sunscreen that’s suitable for your skin type. Skin exfoliation will ensure your dead, dull, and dry skin cells don’t block up your pores and suffocate your skin. Scrub your skin twice a week. This is one of the easiest ways to ensure your skin looks radiant, healthy and clean. You won’t need highlight anymore! and you will be looking natural beautiful. Every skin type needs daily moisturize. If you have oily skin and you think your skin doesn’t need additional moisturizing – you’re wrong. Though oily, oily skin still needs moisture because there’s a chance your skin gets oily because it doesn’t have enough moisture. Skin cleansing may not be enough to improve the condition of your skin. 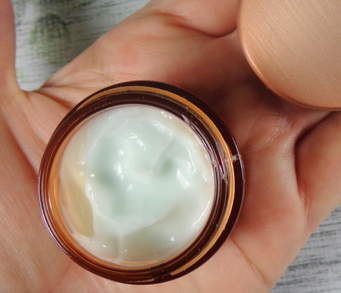 Moisturizers aren’t only useful for treating dry skin – that’s not all they do. Skin moisturizers can improve skin texture and tone, protect sensitive skin, and mask imperfections. Make sure your drink enough water because your skin and body needs it. Water drinking is essential to your health. Carry bottle of water everywhere you go to stay hydrated. Taking care of your skin doesn’t only mean you need to use few creams and moisturizers. Skin is our largest organ and needs caring from inside, too. 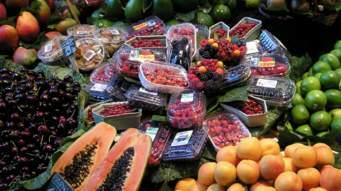 Healthy diet is essential way for beauty skin and body. I helps to maintain body with natural vitamins, minerals etc in the diet. Get at least 8 hours of sleep – it will work wonders for your skin. Beauty sleep is free, it’s real, and it can start for you tonight. When we don’t get enough sleep, our skin bags, sags, and loses its radiance. 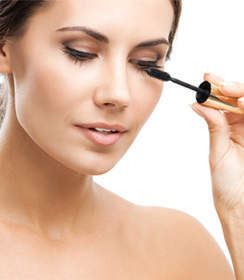 No, you don’t need mascara to make your eyelashes more bigger and voluminous. Another way to pump up your lashes is by using eyelash curler. This amazing little tool will lift and curl your lashes in seconds! With just one squeeze, you’ll have a fuller looking eye. If you don’t have eyelash curler, you can use Vaseline. It will make your lashes look darker, fuller and longer. It’s important to look clean and groomed without makeup. Keep your eyebrows and hair above your lips well maintained. Having a fabulous ‘hair day’ will definitely help you look pretty without makeup. Give your face a break but do your hair. Try different hairstyles – ponytails, braids, fish braids, buns. Find the one that brings out the best features of your face. Wear A few bracelets, earrings or statement necklace can add a real spark to your appearance and enhance your looks. Teeth are the outline of face. A big smile on your face can do wonders. 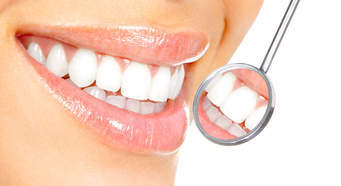 For a beautiful smile you need to visit a dentist regularly and clean your teeth daily. We don’t need to explain why hygiene is important, right? Clean hair, nice nails, fresh smell and clean clothes are for looking good without makeup. Regularly wash and trim your hair to ensure it doesn’t have dry or split ends. If you chew on your nails – try to stop this nasty habit. Make sure your nails are always well-maintained and there is no chipped nail polish. Exfoliate your lips every week to make them soft and kissable. For exfoliation you’ll need toothbrush. Gently massage your lips every other evening for a couple of minutes. Moisturize them so they become plushy and soft. Women shouldn’t use makeup as a mask to hide behind. It should be fun thing to do. Confidence is everything! If you feel ugly and undesirable with your bare face, other people will notice that. If you’re confident with a big smile on your face, they certainly won’t notice that you are without makeup. Try it and see it for yourself! These easy tips will help you to learn to be comfortable with your bare face. Makeup should be treated as a tool to enhance or to increase looks and not as an essential in life.